Funkstörung has split up. Chris de Luca and Michael Fakesch announced the group’s end through a statement posted on their website last month. “Whatever the reasons were: musical differences, personal problems, the distance of 700 KM between Rosenheim and Chris’ new place in Berlin – who cares … fact is we both agreed it’s better to focus on solo projects from here on out,” wrote the duo. Though they never achieved the success of Prefuse 73, Funkstörung (German for transmission interface) was a leader of the short-lived IDM/hip-hop interface alongside Autechre, Kid-606, and Push Button Objects. Their 1999 collection Additional Productions, a compilation of remixes for Björk, Wu-Tang Clan and others, is considered a minor classic of modern electronic music. In the States, they’re best known for 2000’s Appetite for Disctruction and 2004’s Disconnected, both released on !K7 Records. The latter was arguably their best full-length album, and found them incorporating warm future soul as well as their trademark glitchy hip-hop. To document their history together, Funkstörung relaunched its official website as Funkstörung Complete. The site allows you to listen to their complete discography, including unreleased remixes, as well as videos and other esoterica. 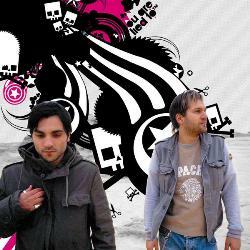 This entry was posted in Hip-Hop Heaven, News and tagged Chris de Luca, Funkstörung, Michael Fakesch. Bookmark the permalink.